I’m looking for perfection. Does it exist? Unlikely. But I’ll have a lot of fun trying. I started growing courgettes on a whim in my old garden in London, and fell in love with the taste of them, picked young and lightly fried with some garlic and chilli. Some years on, and a bit of research has lead me to various varieties, grown for colour, to eat raw, for stuffing, for grilling – you name it. 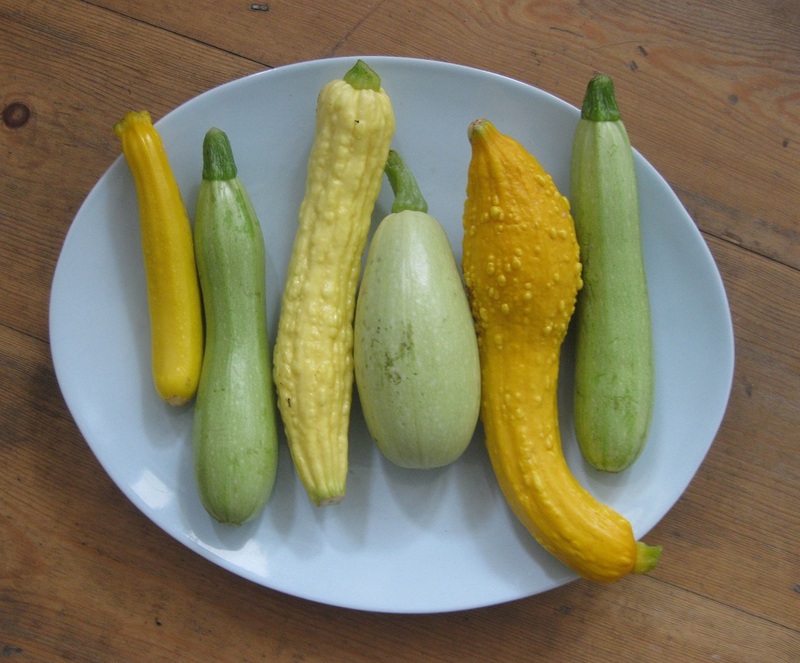 So I’m looking for the perfect yellow courgette, I need to find one that’s not an F1, the perfect light green-white one for grilling, a great summer squash and one for stuffing. 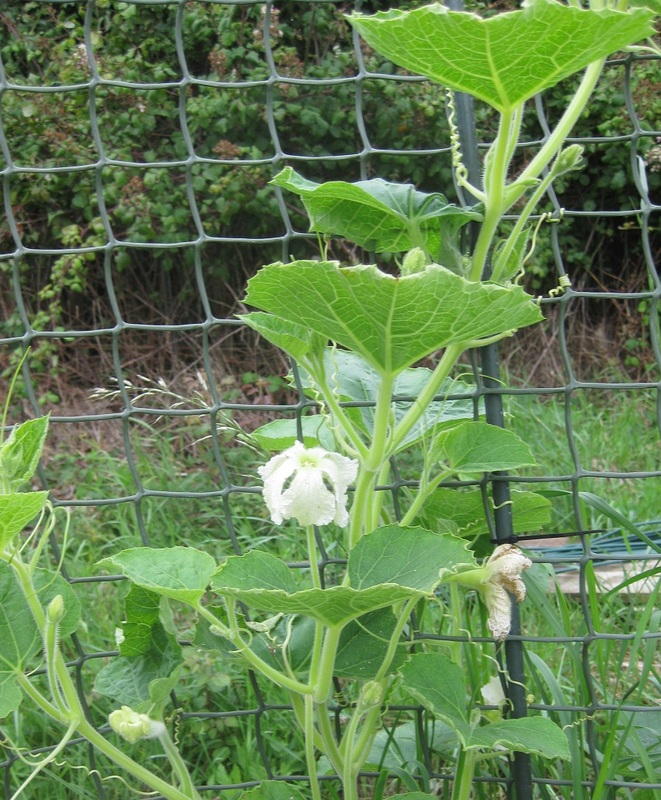 This year’s grow list includes – Jemmer, Cavili, White Volunteer Cousa, and Yellow Crookneck amongst others. Cavili, possibly my favourite, is a pale green, almost white straight courgette that has nice firm flesh, and grills or fry’s superbly and a fabulous flavour. Unfortunately for seed saving it’s an F1, and so would take me years to grow out and stabilise, maybe that’s a project for my retirement! It’s also unusual in that it produces in poor weather conditions – low light and cooler temperatures. Perfect for this July. As far as I’m concerned the “Jury is still out” on this one. I’m trying to find a great courgette for stuffing that is tasty and not too watery. I’m still undecided on this particular Cousa. So the search goes on. Rugosa Friulana – another one picked up in the Wyvale 50p seed sale last year. How could I resist something so nobbly and warty. Seeds of Italy describe it as a “traditional Venetian courgette variety has one of the best flavours and lends itself we to dishes that take longer to cook as it’s slightly firmer”. The Quest is on! 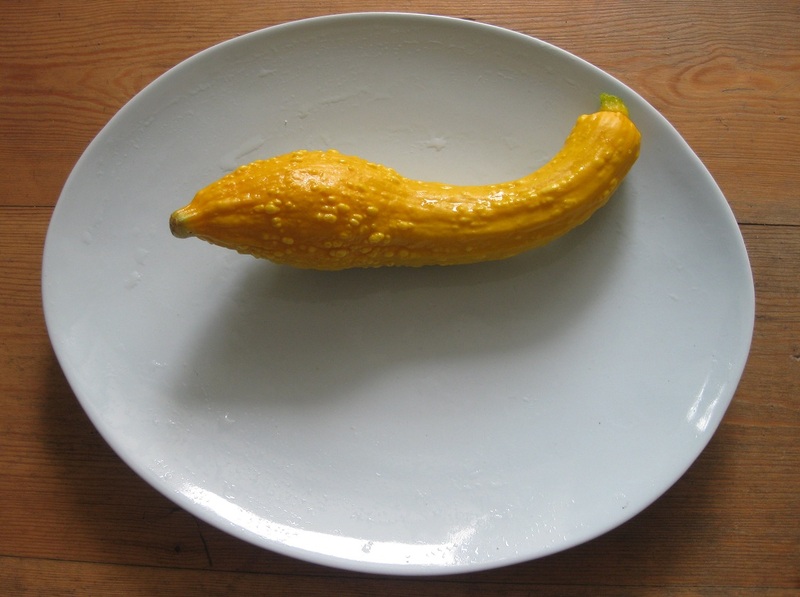 And reading back the title of this post – Cucurbit Quest, I can’t help but think it sounds like some kind of lasar game like quasar, well I guess tracking down the “perfect” courgette could be considered as a game, just maybe not a computerised one!